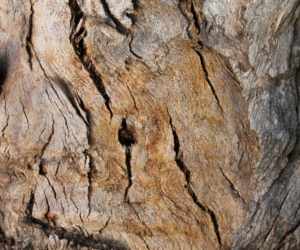 Two significant, iconic trees, including a tier-one, high-value Koala food tree, have been vandalised by hacking, drilling, nailing, and poisoning, and Council is calling on anyone noticing suspicious behaviour to report it to Council or Crimestoppers immediately. Redland City Mayor, Karen Williams said the eyes and ears of Redlanders are needed to catch these vandals. “I’m appalled at this environmental vandalism and selfish behaviour on some of the City’s most significant and valuable trees. “One of the iconic trees under attack is the Gum tree in O’Connell Parade, Wellington Point which is aged somewhere between 60-70 years old. This tree had a hatchet or similar weapon taken to the roots, has been drilled and a chemical substance applied for a second time. 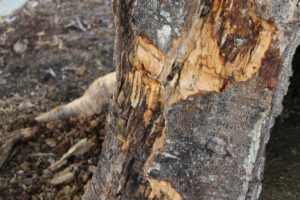 “Until vandalised this was one of the healthiest trees forming the corridor of Koala food trees along O’Connell Parade through to Beachcrest Street, and down to Wellington Point Reserve,” she said. Deputy Mayor, Wendy Boglary said the tree is critical for the linkage through the corridor, which creates both a food source and a refuge from vehicles and domestic animals, for koalas and other native animals. 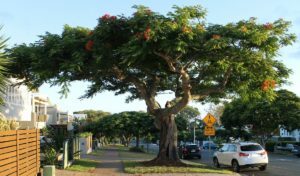 “This beautiful, irreplaceable Poinciana situated at 346 Main Road, Wellington Point is over 40 years old and one of the more mature trees in the Avenue of Poinciana along Main Road at Wellington Point. 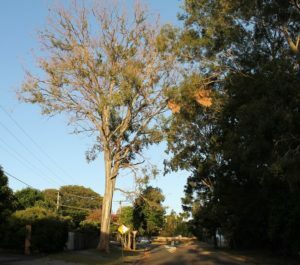 “Council officers tell me the repeated hacking at the wound may be an attempt to speed the decay of the tree,” Cr Boglary said. Redland City Council officers are closely monitoring and managing these trees to prolong their life for the communities benefit. To report suspicious behaviour please call Council’s Customer Service on 3829 8999 or Crimestoppers on 1800 333 000.